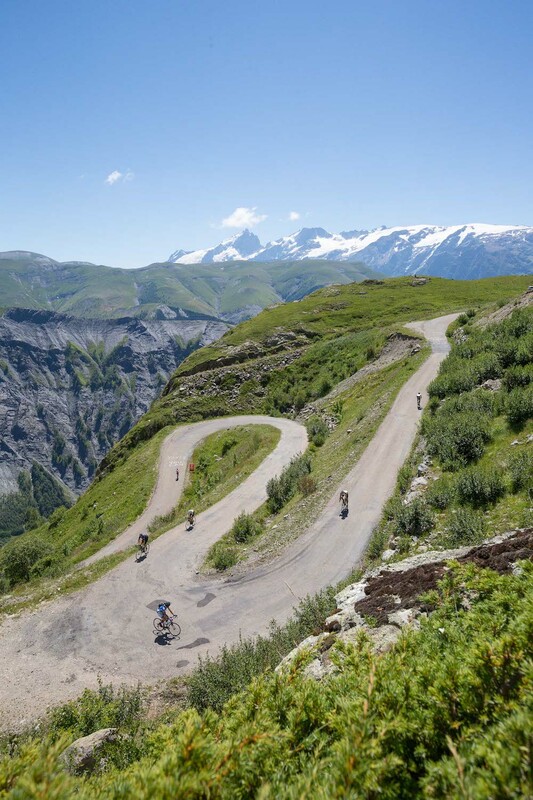 Under a radiant July sun the first ever Haute Route Alpe d’Huez riders completed the inaugural edition today, after three days of magnificent cycling on and around Alpe d’Huez. 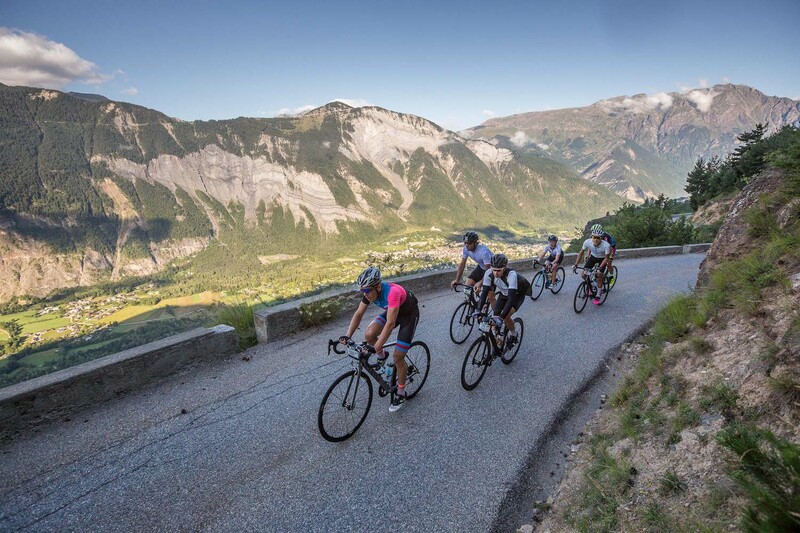 Riders completed a total of 245km and climbed over 8,700m through some of the most famous climbs in the Alps: Glandon, Croix de Fer, les 2 Alpes and the three different ascents up Alpe d’Huez from Bourg d’Oisans, Villard-Reculas and col de Sarenne. The short and sharp 74km long final stage provided the final test of the event; riders got to enjoy a tough stage with beautiful panoramic views over the Vallée de l’Oisans from the Balcons d’Auris and over the Muzelle Glacier during the ascent up Col de Sarenne. American rider Jason Eckenworth, discovering the Alpe d’Huez region for the first time this week, is unlikely to forget the experience: “It’s the first time I’m riding here in Alpe d’Huez and it’s great to stay three days in the same location. The views are splendid and it’s incredible to be riding on some of the most renowned climbs in cycling. I’m going to buy a personalised KM marker to commemorate it”. Frenchman Cedrick Dubois added the Haute Route Alpe d’Huez to his 2016 Haute Route Pyrenees victory, winning by over 30 minutes from his compatriot Julien Brun and teammate Richard Scales. In the women’s race Emma Pooley from the UK took the win ahead of Swiss riders Elise Chabbey and Tatjana Ruf. Race director Jean-Francois Alcan was delighted with the first iteration of the 3-day Haute Route format: “It’s a great success for the first edition of a 3-day event. I’d like to thank all of our partners as usual, especially the town of Alpe d’Huez for their warm welcome and support. Thanks also go to all the towns and communes we passed through, the volunteers on the side of the road and the rest of the organisation team”. Following the success of this first edition, the second edition is already in the calendar for 2018 and is set to take place this time over the weekend of July 13th, 14th and 15th. Further information and registrations will soon be available on hauteroute.org. Next up in the 2017 Haute Route calendar are the traditional 7-day long Pyrenees (August 13th-19th), Alps (August 21st-27th) and Dolomites (September 2nd-8th) events, as well as the brand new 3-day Haute Route Ventoux taking place in Bédoin from October 6th to 8th.